I've been tagged by the lovely Tami at Mummy Of Two to complete the All About Me meme originally started by Gina at Cold Tea and Smelly Nappies. I don't always participate in memes, but thought this is a great way for you all to get to know me, rather than the little fella. 1) First off tell us your name...How simple is this... I'm Zoe. Although autocorrect does like to call me Zoo. 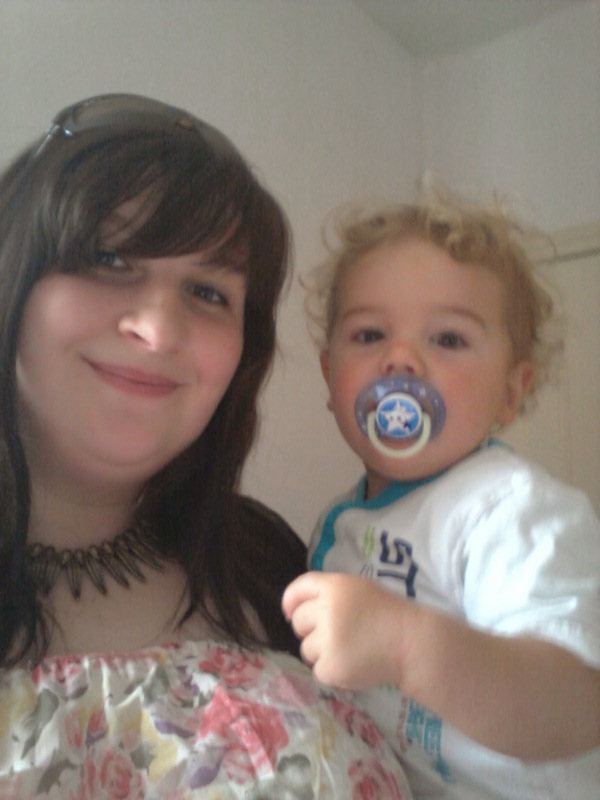 I currently live with my partner Ashley, mum Cas (Cathrine) and the mini monkey Jack. We also have 2 doggies and an army of fish, literally they keep multipling. 3) My favourite thing to do is…Well apart from cuddles with Jack and spending time as a family, I also enjoy a bit of crafting. 4) My favourite thing to eat is…This is dependent upon my appetite but I do love a good Spaghetti Carbonara, made with eggs rather than cream though. 5) When I get cross I…Shout. I don't really know what comes over me, I just know in this respect I'm the same as my dad and shout a lot. I don't mean too. 6) Sometimes I worry because…I generally just worry that I don't do whats best for Jack, I do the best I can do and just worry it's not enough. I also worry a hell of a lot about money, not because I have none but for the sheer problems it causes. 7) My favourite book is…I'm not really a reader, however I do love a good true story, mainly ones related to children even if they mak me cry. 8) My favourite toy is...My phone. It keeps me in touch with all my lovely friends both real life and the online ones, and also ensures I always have something to take quick snaps of Jack. He's growing to fast these days. 9) I dislike…Selfish, Rude people oh and Sunday drivers! People who only think of themselves I find incredibly rude, and also find rude people annoy me. It takes no time to use your manners yet people decide not too. 10) When I grow up I want to be…When I was in Primary School I initially wanted to be a Vet, then I was informed I'd have to deal with creepy crawlies which I couldn't be doing with. So then I progressed to wanting to be a midwife, and wanted to be for an awfully long time. Then realising that was more the care of mothers rather than babies I decided I would like to be a paediatric nurse. Now, I'm just happy to be a mother and give Jack everything he deserves in life. Hopefully, you've now learnt a little about me? Hopefully you'll stick around, I'm honestly not that scary.